The Esimit Europa 2 boat, sponsored by Russian gas major Gazprom, has set a new course record at the prestigious Giraglia Cup regatta. ­The 100-foot maxi, managed by a crew of 17 European sailors, needed just 14 hours, 56 minutes and 16 seconds to cover the distance between the French city of Saint-Tropez and Italy’s San Remo. The Esimit Europa 2 was 3 hours and 6 minutes better than the previous best time. 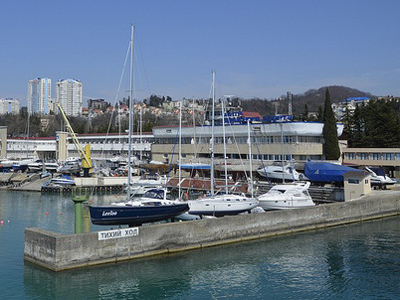 Esimit Europa 2 took the lead from the start, leaving 170 regatta participants behind, and when the Gazprom boat crossed the finish line, their nearest rival was some 30 miles behind. 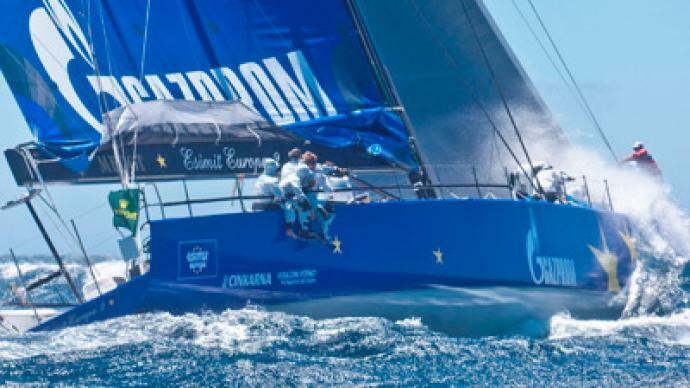 The Esimit Europa 2 is “one of the fastest and technologically most advanced yachts in the world”, and has so far won all the regattas it has entered. 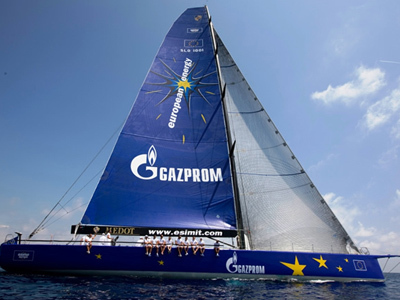 It’s sponsored by Gazprom and sails under the flag of the European Union, having President of the European Commission, Jose Manuel Barroso as its patron.